A 2013 study conducted by the Ponemon Research Institute in Michigan revealed that, when it is possible to accelerate patient discharge times with text messaging, patient wait times could be reduced by up 50 percent – with healthcare facilities saving on average $557,253 per year. The researchers’ conclusions were drawn after 577 clinicians, IT practitioners and other healthcare professionals were surveyed about using text messaging to accelerate patient discharge times as opposed to the continued use of pagers and other outdated communication technologies. However, it was also notable that the majority of respondents commented that HIPAA compliance requirements restricted the use of personal mobile devices to communicate, and also made it difficult to access the protected health information (PHI) that medical professionals needed to complete the patient discharge process. Consequently, provided that the guidelines are adhered to, there is no reason why the use of personal mobile devices should be restricted, or access to PHI difficult, and it would therefore be possible to accelerate patient discharge times with text messaging. TigerConnect provides secure HIPAA-compliant text messaging to more than 3,000 medical facilities, which is not only used to accelerate patient discharge times, but also for a multitude of procedures. 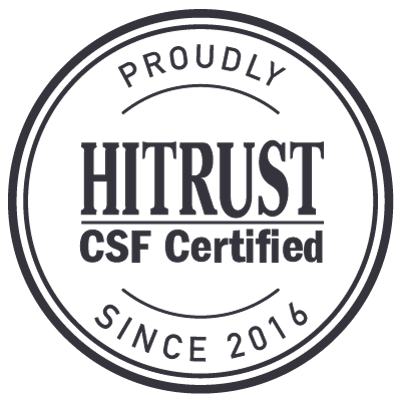 Their secure texting platform works in a similar way to SMS text messaging, and complies with the conditions for using text messaging to accelerate patient discharge times by enabling authorized users to access or send PHI through a SAAS solution. As the application works across multiple platforms, authorized users can collaborate simultaneously with access to lab results and x-ray images in order to accelerate patient discharge times with text messaging, and pre-determined “lifespans” can be attributed to each communication so that messages are automatically deleted once the discharge process is completed. The TigerConnect platform also produces audit logs and access reports in order that system administrators can monitor activity, and to ensure that when medical professionals are using text messaging to accelerate patient discharge times, they are doing so within the HIPAA regulations. Develop Policies for Using Text Messaging to Accelerate Patient Discharge Times In order for medical professionals to be aware of the correct procedures for discharging patients by text, healthcare organizations have to develop “best practice” policies to prevent a breach of PHI and ensure that private patient information is not compromised. We have compiled a white paper – “Top 8 Secure Messaging Policy Best Practices” – which lists the most important components of a HIPAA-compliant text messaging policy and includes information on what should be included in a secure texting policy, guidelines for using text messaging to accelerate patient discharge times and how a secure texting policy can be integrated with other organizational policies. The white paper is free to download without any obligations or commitments, and thereafter you are welcome to contact uswith any comments or questions you may have with regard to using text messaging to accelerate patient discharge times. Additional Benefits of TigerConnect’s Secure Texting Platform Case studies and testimonials showcase the various benefits of TigerConnect. Medical professionals now have the ability to receive PHI on the go with secure texting – enhancing doctor-nurse communications and enabling requests for physician consults to be acted upon immediately. Automatically generated read receipts confirm that messages sent by secure texting have been received, and this eliminates phone tag when hospital staff are attempting to locate an on-call doctor or when a medical professional is required to urgently attend a patient in their home. Indeed, the biggest beneficiaries of secure texting are patients. From the time they are admitted to the time they are discharged, secure texting facilitates a higher level of healthcare – with diagnoses being delivered quicker by secure texting, the patient receiving the most appropriate treatment sooner and making a faster recovery. If the figures produced by the Ponemon Research Institute at the top of the page are accurate, the savings made from implementing a secure texting platform far outweigh any costs associated with discharging patients by text in compliance with HIPAA. With TigerConnect’s secure texting platform – and a suitable policy to inform medical professionals on the best practices for using the application – it should be possible to accelerate patient discharge times with text messaging for the benefit of healthcare organizations, medical professionals and patients. To learn more, you can download and read our “Top 8 Secure Messaging Policy Best Practices” and thereafter to contact us for further information on the best practices for using text messaging to accelerate patient discharge times. cloud-based virtual private network to safeguard protected health information. Hospital administrators, healthcare professionals, employers, insurance companies and other contractors who communicate or access patient data using their personal mobile devices, will find the platform simple to use and little different from their usual texting practices. Furthermore, with no software to download before being able to use TigerConnect’s encrypted messaging platform, individuals who use personal mobile devices in the course of their duties will not be inconvenienced by additional applications on their phones or tablets, although network administrators will be able to receive usage reports to maintain control over the flow of protected health information and to ensure all personnel comply with the revised secure healthcare texting regulations. Members of a team can collaborate in real time when using the TigerConnect platform without risking the integrity of protected health information. 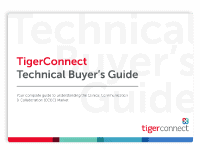 When used on personal mobile devices, the TigerConnect platform eliminates waiting times while personnel find an available workstation to log-in to messaging accounts. 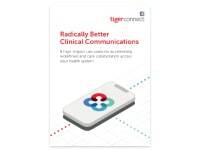 Secure healthcare communications by TigerConnect enable fast decision making when necessary to provide patients with the most appropriate care. The TigerConnect secure healthcare texting platform sends read receipts to senders when messages have been read, which eliminates the need for follow-up calls. 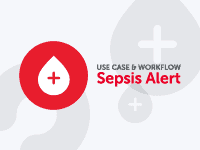 Discover how physicians and nurses can maximize time with patients via secure messaging.